You know how the saying goes... Meanwhile, back at the ranch. 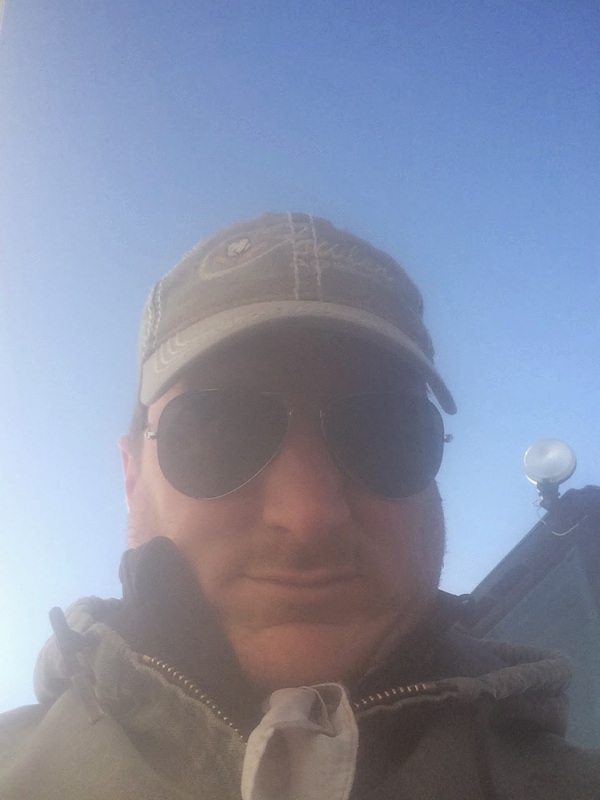 Well, I'm going to edit it a bit and provide a few photo updates of the happenings back on the farm in Texas while I'm in the beautiful and snowy Dakotas. Royce was a trooper and sent me photos from the farm today so please forgive the grainy (pun intended) iPhone photos. 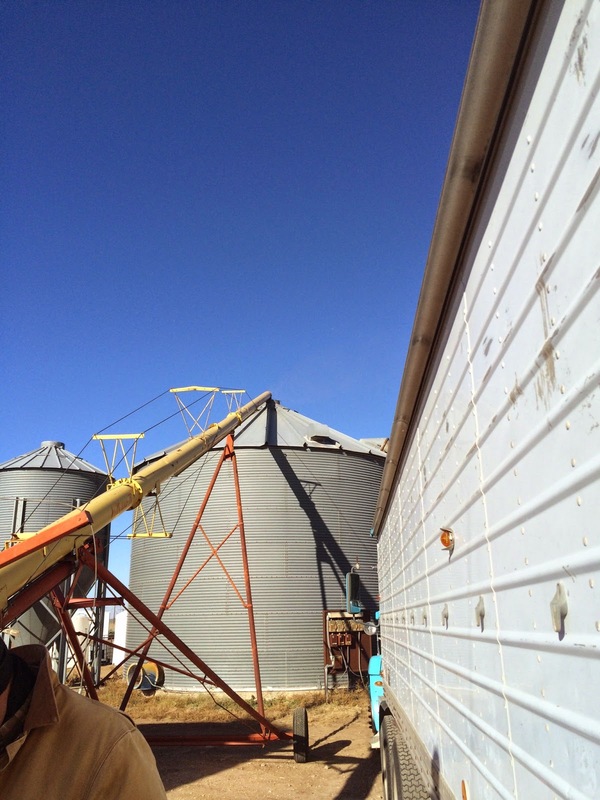 We are storing our late corn in the bins for a couple of months. 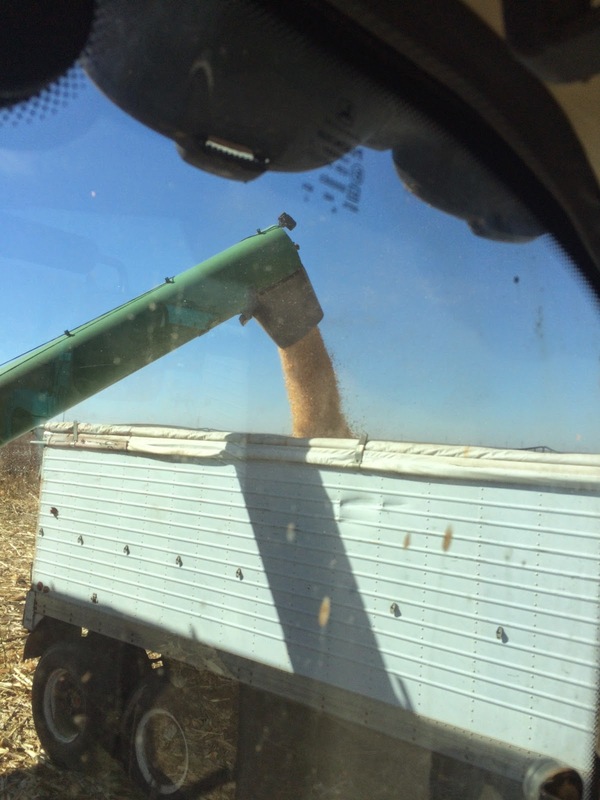 Royce got the pleasant job of unloading the truck and running the auger to get the corn in the bin. He loves his job! But maybe not quite as much when it is cold. 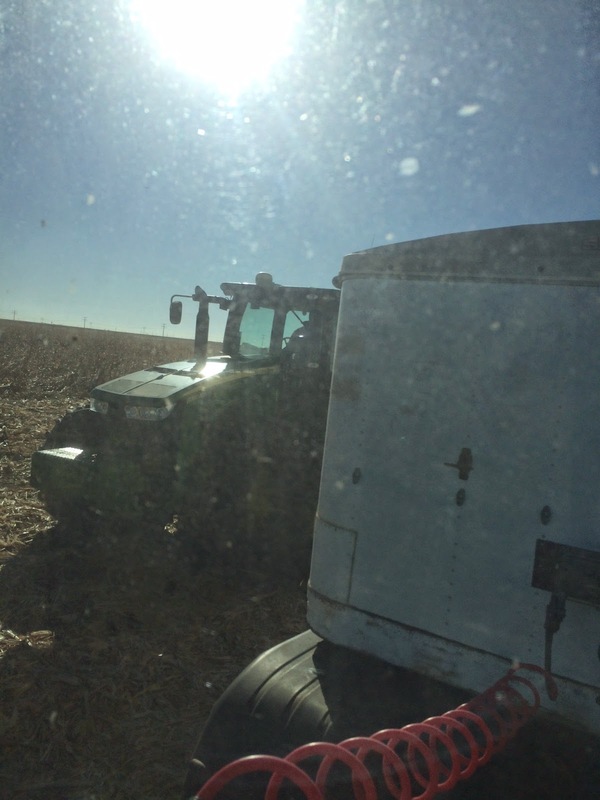 If you look through all the speckles on the truck window, you can see the combine unloading corn onto the grain cart. 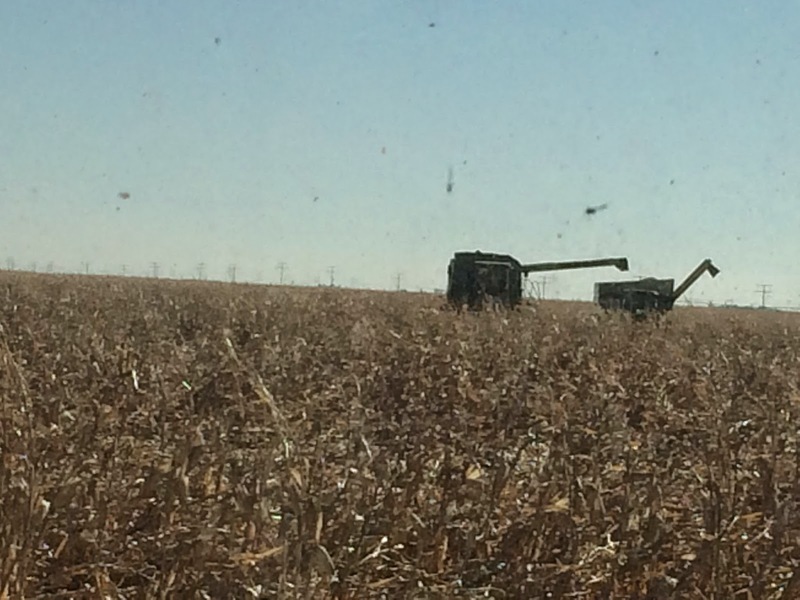 We had a couple of large wind storms "lodge" or lay down the late corn, making it much harder to harvest. Another dirty window photo. This time of the tractor unloading onto the truck. 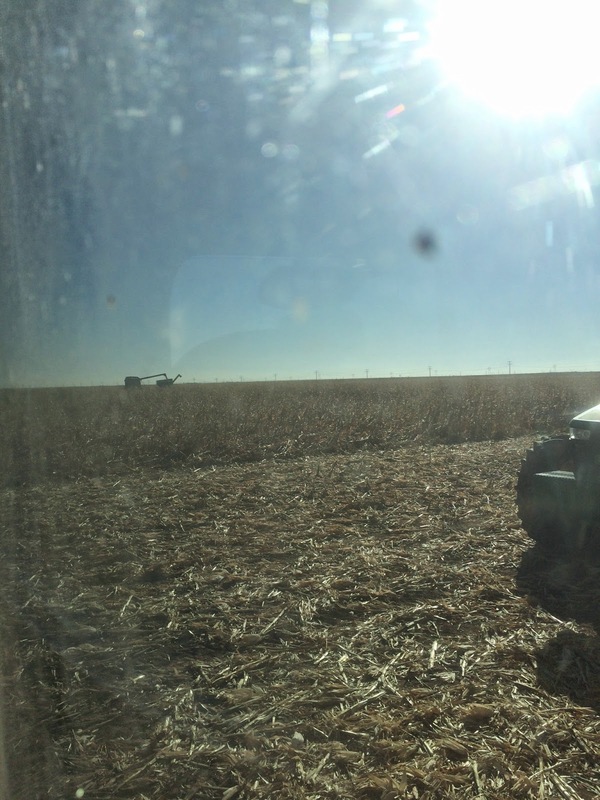 In this photo, you can kind of see the lodged corn, a farmer's nightmare. 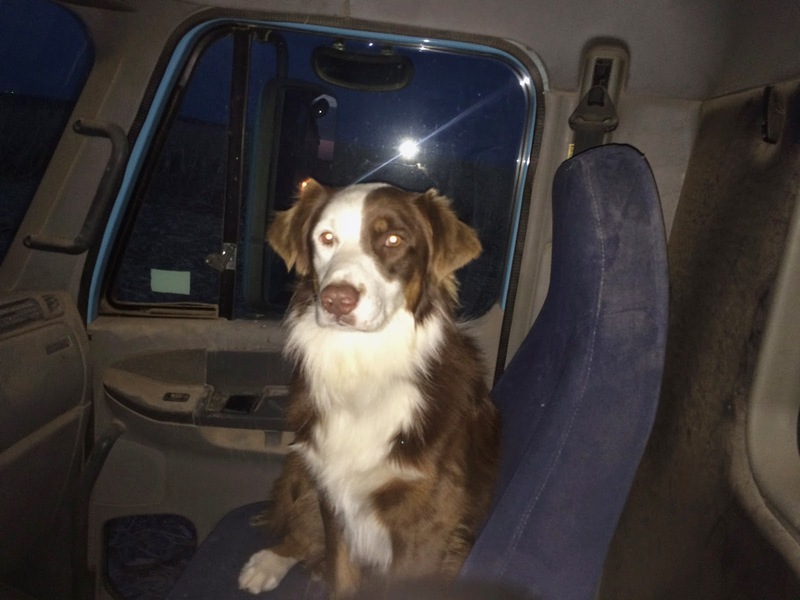 Royce apparently jumped ship on the truck and got into the tractor for this photo. 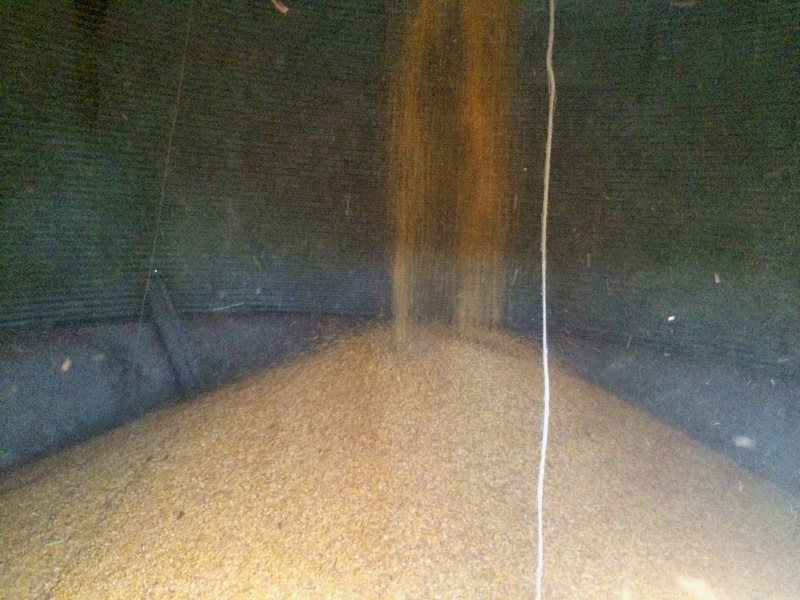 This is the inside of the bin, as the corn dumps in from the top. This is Ranger, riding shotgun with Royce while he's driving the truck. Side story: I mentioned above I'm in the Dakotas. I flew up Friday into Fargo, ND and then drove down to my dad's near Clark, SD. Unfortunately, the snow has come early this year so many of Dad's projects are now getting done in the cold and the snow. 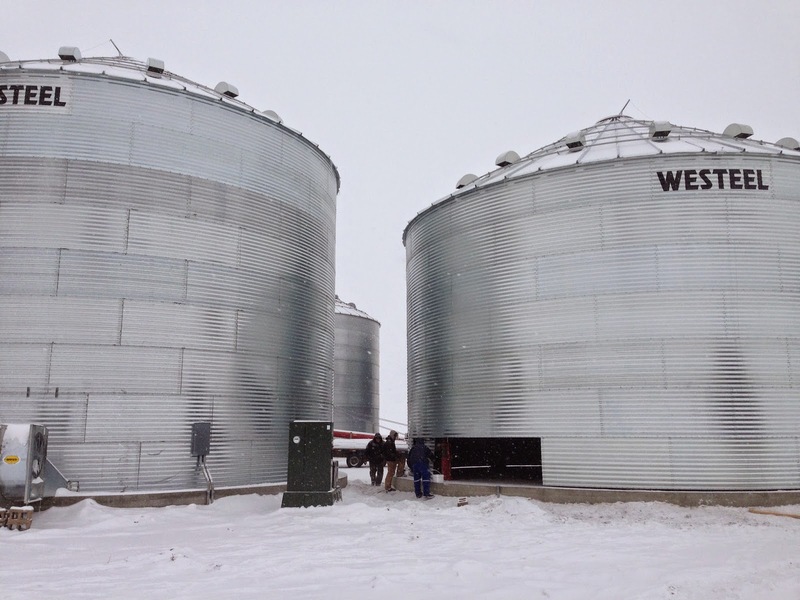 It seemed fitting that Dad and his employees were working on building another grain bin while I was here. They made quite a bit of progress today, piecing it together ring by ring. Tomorrow morning, I'm driving back to Fargo, and Monday morning, I'll be hosting a meeting for the WestBred seed suppliers. It was a quick trip down to see the family in SoDak, but I'm sure glad I made it. Dad's bins are a little bit bigger (ok, a lot bigger) than our bins back in Texas. He stores a lot more corn than we do, too. My dad loves his job too! 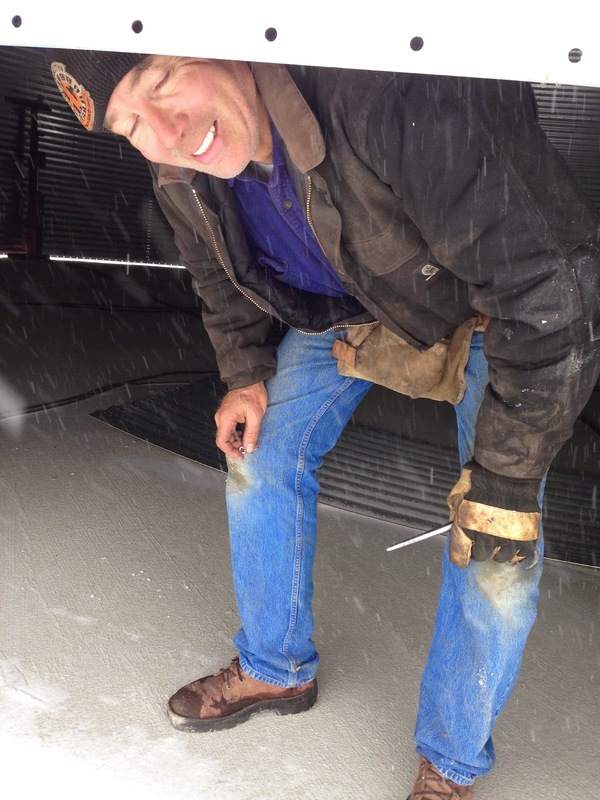 Just look at that smile, even in 20 degree weather and a snow storm! 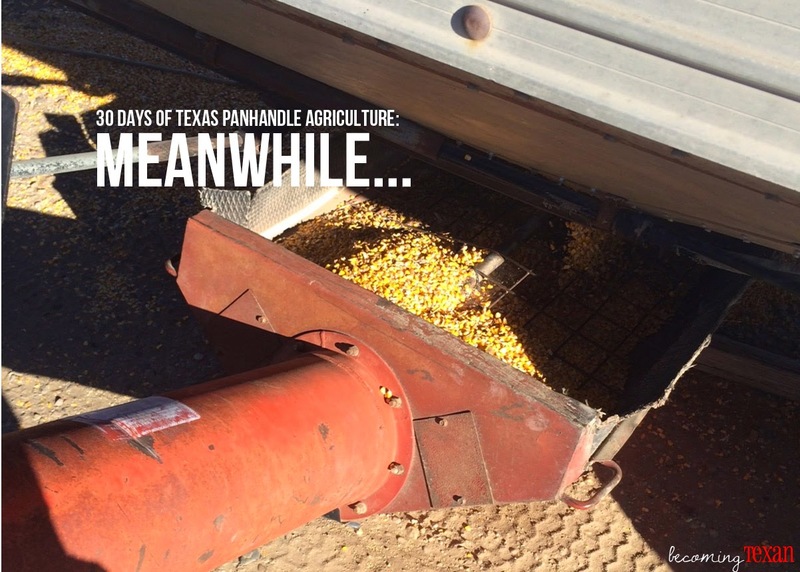 This is the 15th day of my 30 Days of Texas Panhandle Agriculture series. To read more, please visit this introduction post. If you have questions or ideas you'd like me to write about concerning Texas Panhandle agriculture, I'd love to hear from you!